I left Boise and headed West and then North on I-84 towards to Oregon boarder. Shortly after crossing the boarder I turned off of I-84 on to OR 201, where I stopped for gas. There were a couple of BMW riders also gassing up and we exchanged pleasantries. A couple pulled into the gas station driving a 1956 Chevy Sedan Deliver that was in beautiful restored condition. They were pulling a 15 or 18 foot travel trailer. I figured this could not have an original 265 V8 engine, so I asked the owner. He popped the hood and showed me the “hot rodded” 305 Chevy V8 he had installed. He wasn’t happy with the pulling power and is planning to put a “big block” V8. I was completely brain dead and forgot to take pictures!!! 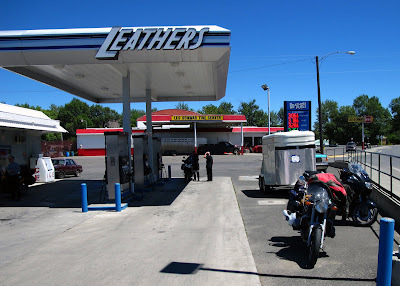 After gassing up I turned on to U.S. 20 and headed to Vale, OR. At Vale the choice is to continue on U.S. 20 or turn off on to U.S. 26. The better ride is supposed to be on U.S. 26, so I headed that direction. Only question was the availability of gas. 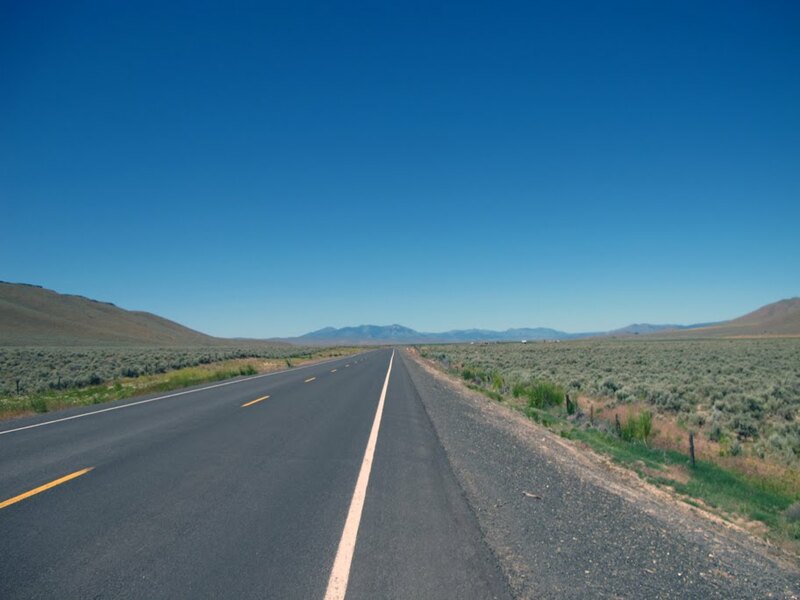 Eastern Oregon is pretty dry – sort of high desert like (elevation about 3800 feet), but you can see the mountains off in the distance. U.S. 26 is also known as the John Day Highway and winders into the town of John Day (no idea who John Day is or was). I found a small gas station / store in Unity and decided to top off the gas and take a break. While there one of the BMW riders I spoke to at the last gas stop pulled in and we saw several more pass by. I pulled out on my own and continued West. After leaving Unity the road leads to the mountains and climbs. The terrain changes to be more what you might think Oregon would look - heavily forested. More and more BMWs are on the road now and a few people just naturally start riding together since we’re all headed to the same place – BMW MOA Rally in Redmond. I passed several slower riders and then caught up with another rider who was keeping a good pace. We cruised along for several miles and then came to a road construction section that was controlled and stopped in our direction. 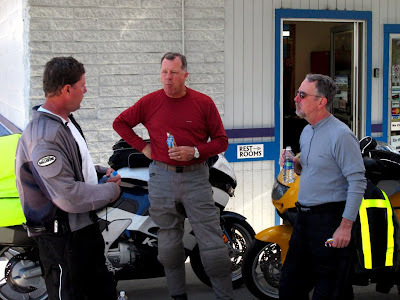 As we pulled up to a stop there were Jim and Tom, the two guys I rode with the day before. We said hi to each other and about that time we got the go signal from the guy controlling the traffic flow. Once we were rolling again the four of us stayed together for many miles. Somewhere the time switched to PDST from MDST, so we got an extra hour of travel time. Too bad my body didn’t agree. From this point the road greatly improved with lots of turns and very little traffic. We went up, over several passes, and through a beautiful canyon. The outsides of my tires finally got a workout instead of just the center. Next gas stop was the town of John Day. The number of riders was increasing and several people had stopped for gas. There was a whole bunch of “Hi, how ya doing?”. The guy I had been following and join Jim and Tom was Craig (I think) from Phoenix, Arizona. 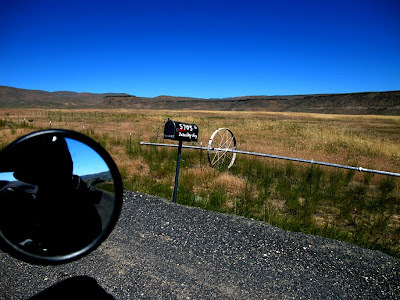 Leaving John Day we found some more twisty roads and continued West to Redmond. 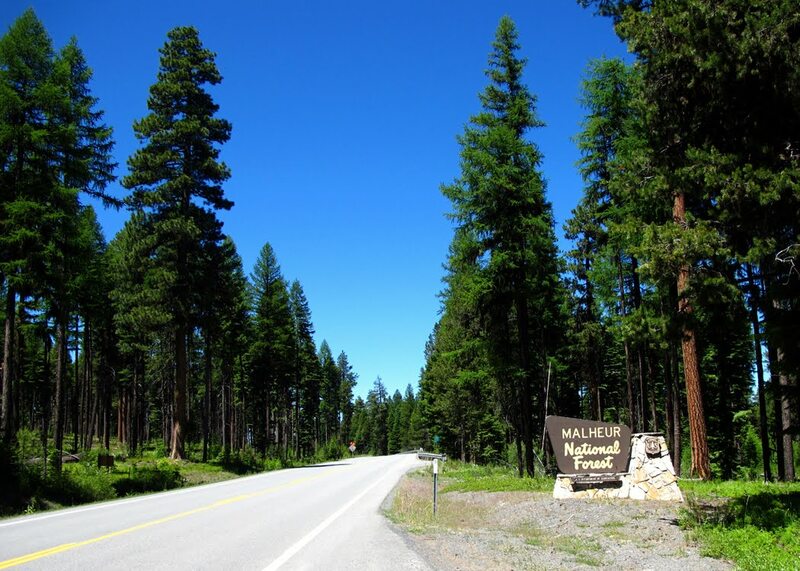 Craig dropped off at Prineville, OR to head to the place where he was camping. Jim, Tom and I continued to Redmond and the Rally sight – Deschutes Fair and Expo Center. I got registration taken care. Tom and Jim were camping at the Rally site and headed off to set up camp. I continued to my hotel, cleaned up and had dinner. 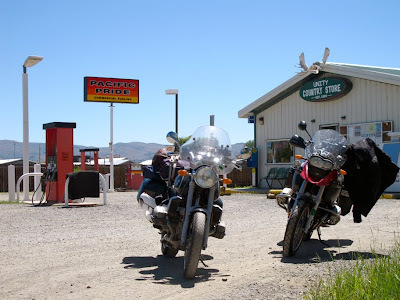 For the next two days I plan to attend the Rally, so most likely no riding.On Saturday I’ll head West and South, past Crater Lake and on to Crescent City, CA. Astounding photography. Glad you are having fun. We are back in bay area after a road trip to the Southland. Keep those posts coming.